Summer comes around pretty slowly here in ol' England, so we have plenty of time to prepare for it. And when we say "prepare for it", we mean "come up with extravagant beauty looks that confuse our elderly relatives at the annual family get-together". 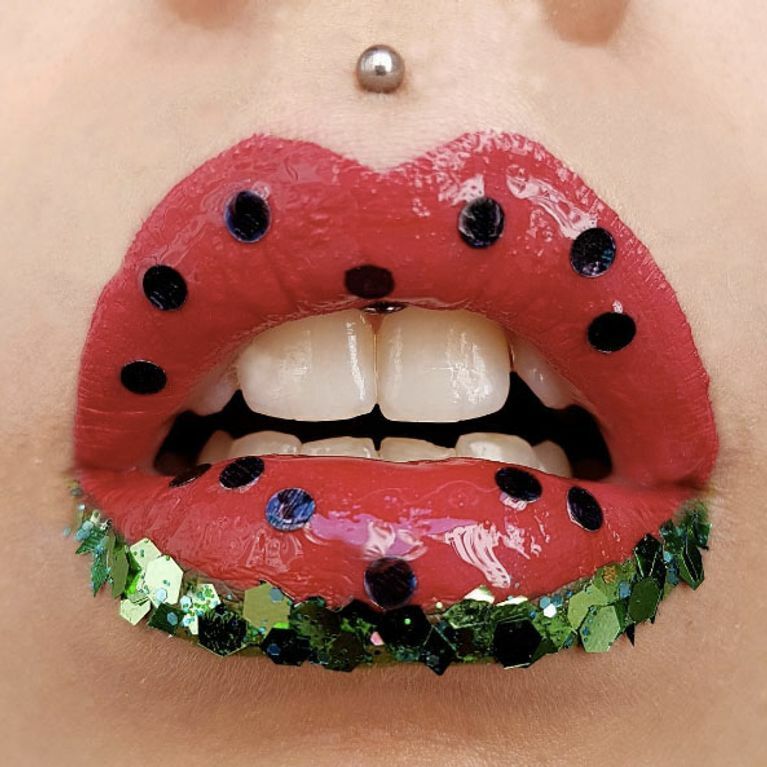 And Instagram hasn't disappointed with its summer makeup trends this year - MUAs are taking watermelons to a whole new level. There's nothing we look forward to more than a summer barbecue. Burgers on the barbie, a salad that no one eats because they're too full of burgers, and great hunks of watermelon in a bowl. Instagram has taken the taste of summer to a new level with a makeup design that honours one of these things - and no, unfortunately it's not your mum's bowl of leafy greens. This look is ideal for the ultimate summer festival feel, maybe not so great for the annual family get-together - although after a jug of Pimms or two you'll probably feel differently. And the look is relatively simple, just use a mixture of green, pink and black to get your makeup looking fresh af. There are a number of ways 'Grammers are choosing to experiment with this trend. Some go for a more literal iteration with a triangular slice on the eyes, while others scatter the colours across the lid. A juicy watermelon lip is also a firm favourite on Insta, but not as easy to rock in real life - once you've tucked into a refreshing G&T that watermelon's gonna look like it fell right out the tree and smashed all over the floor. So maybe keep that look for the photo op only. Check out some of the most delicious looks below and get ready to turn your face into an homage for the juicy fruit. Is Studded Makeup The Edgiest Beauty Trend Of 2017 Or Ever?